On June 14th, the 2018 World Cup begins in Russia. 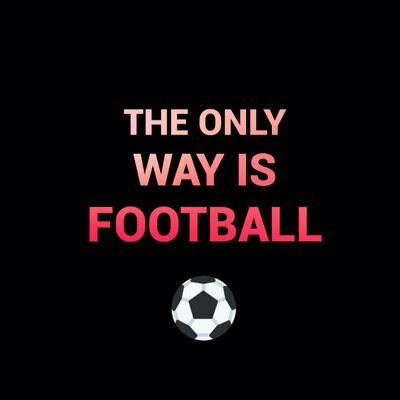 Expect a month of football filled with controversy due to the use of VAR for the first time in the history of the competition. Without further ado, here is our Group C preview. The beaten Euro 2016 finalists head to the World Cup as one of the favourites. Les Blues have one of the strongest squads in the competition and some huge names have been omitted from the final 23 which highlights their squad depth. 20 years on from leading France to a World Cup triumph as captain in 1998 on home soil, can Didier Deschamps guide his country to glory once again? Paul Pogba. He was named best young player at the last World Cup, now it is time to be the best player, full stop. Pogba is one of many leaders and senior figures in this team and his experience should be beneficial to the likes of Kylian Mbappe and Ousmane Dembele who are competing at their first major tournament. Didier Deschamps knows how to win a World Cup and he has to pass that knowledge on to his young and extremely talented squad. There have been questions asked about Deschamps’ tactics in the past and even though he has a contract until 2020, this is a crucial World Cup for France. The Socceroos had the most exhausting qualifying campaign in World Cup history with 22 games and 250,000 km travelled. There is every chance that Australia can get out of the group like they did in the 2006 World Cup. Aaron Mooy’s midfield creativity is integral to the way Australia play. Known as the ‘pasty Pirlo’ to Huddersfield fans, Mooy will be looking to make his mark at his first World Cup. Bert van Marwijk led his Dutch side to the World Cup final in 2010 where they were beaten by Spain in extra-time. He was in charge of the Saudi Arabia national team for two years and became Australia head coach earlier this year. Los Incas are competing at the World Cup for the first time in 36 years and they will be determined to show their quality at the tournament. Peru’s aim will be to get out of their group but it is going to be a tough ask. Paolo Guerrero is Peru’s captain and main man. The 34-year-old striker has been cleared to play at the forthcoming World Cup after a 14-month suspension was temporarily lifted. He is Peru’s all-time top scorer and their talisman. The team will play much better with him involved. Ricardo Gareca denied Peru a place at Mexico in 1986 with his goal for Argentina. He is now a Peruvian hero after leading them to their first World Cup since 1982. Danish Dynamite have a good chance of getting out of the group and making the last 16 like they did in the 2002 World Cup. After failing to qualify for the last World Cup, reaching the last 16 would be acceptable. Christian Eriksen is an excellent asset to the Danish team. He was prolific in qualifying where he scored 11 goals including a hat-trick against the Republic of Ireland in the second leg of the play-offs. After another influential campaign with Tottenham Hotspur, Eriksen should be in fine form for his country. Norwegian Aage Hareide has been Denmark’s manager since 2015. The former defender was capped 50 times for Norway. He has built a competitive Denmark side who qualified through the play-offs and should be full of confidence in Russia.